University of Plymouth First Aid Society, In Partnership with St John Ambulance. Learn First Aid, Basic and/or Advanced. Whatever you want to learn. Build your confidence with active, scenario-based learning, games, and socials. Exciting opportunities to volunteer with St. John Ambulance. Join us on Fundraising activities that help fund our life-saving work. UP:FA supports St John Ambulance's vision that no one should die in a situation where basic first aid could have saved them. Each year 29,000 people die from heart attacks, 900 people choke to death and thousands more die in situations where first aid could have been the difference between a life lost and a life saved. It takes an average of 8 minutes for an ambulance to arrive after calling 999, an average of 3 minutes without oxygen for the brain to begin to die and only seconds for a body to go into shock after suffering a major bleed. On the 19th July 2018 the British government brought forward draft legislation stating that Primary school children would be taught basic first aid, like dealing with head injuries and calling the emergency services, while those in Secondary school would be taught life-saving skills such as CPR and the use of defibrillators, and this decision was made after members of the public attempted to help victims of the 2017 Manchester Arena bombings but lacked the knowledge of First Aid to do so. As a society, we wholeheartedly support this decision and hope that, in teaching some of you basic first aid, you too could make a difference in someone else's life. 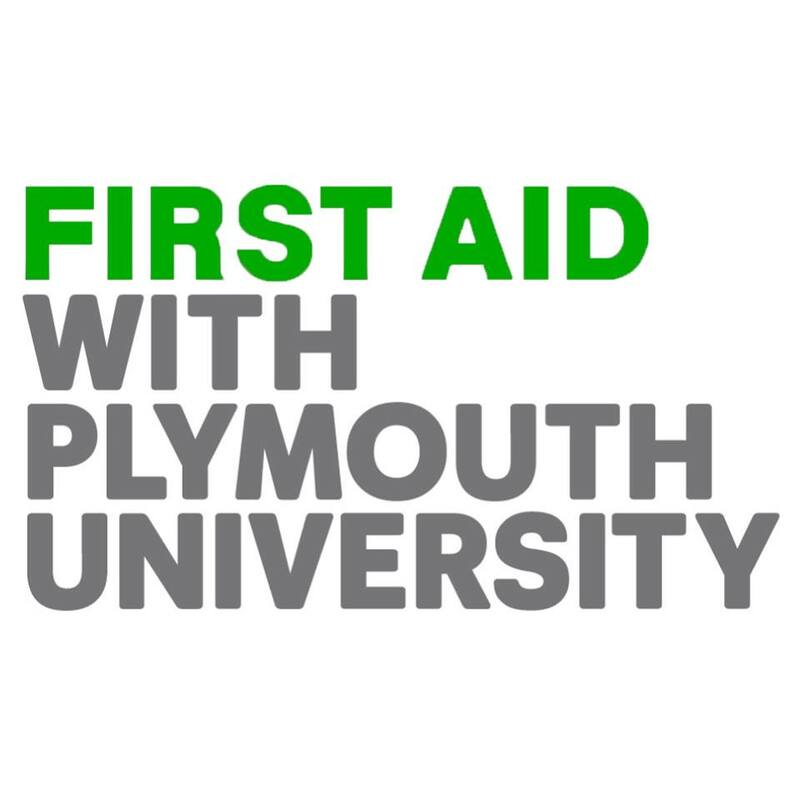 University of Plymouth First Aid Society is dedicated to the teaching and promotion of first aid as well as being a fully functioning St. John Ambulance Unit. We provide quality training to all members with a select few going on to become full St. John Ambulance members providing first aid cover at events all over the UK. We work closely with other St John Ambulance units and Ambulance trusts to provide a quality service to members of the public. We meet every Tuesday evening from 19:00 to 21:00 to learn valuable skills from one another, special guests and healthcare professionals.We won Society of the Year in 2013, Best Project in 2016 and our members continue to collect a variety of external and internal awards year after year. At our meetings, we learn skills, develop them, and become more confident in using them, something you can't get from a 3-day First Aid at work course. We use active scenario based learning games to put the skills into practice, in order to keep your skills at knowledge in tune and ready for when you need to use them. Many of our members, past and present, have used the skills they learn in our meetings to become 'Everyday Heroes' and saved lives at home, work, university, or out and around Plymouth. These skills are great to add to your CV, and you can add Volunteering hours to work towards your Plymouth Award. At the start of the year, we will run a selection process to induct new members into St John Ambulance's University of Plymouth Student Volunteering Unit. These volunteers will be given the skills and equipment required to go out and provide First Aid at events across the country. We cover weekly matches at Argyle (Football) and Albion (Rugby), Concerts and Shows at Pavillions, as well as large events such as the Royal Cornwall Show and Wimbledon. We also have the opportunity to meet up and interact with other St John units on duties and training days, such as the Plymouth Adults unit, and Bristol, Bath and Exeter LINKS units at events like LAFTA's, and our own Summer Balls! Our central program is a 24-hour CPR Marathon, typically held on campus. In this, we continuously use CPR on a number of dummies while snacking on an assortment of cakes, crisps, chocolates, sweets and very occasionally some fruit, watching movies and playing games to raise money. We host night time socials and daytime activities alike to cater to everyone's tastes, alcohol is always optional. We kick off the year with the infamous 'green' t-shirt social. Themed nights such as the 'First Aid Olympics' and 'Hunger Games' run throughout the year and we hope to keep up with these traditions. We are always eager to hear ideas for socials! To keep up to date with our activities, and see photos from our experiences over the past year, follow us on Social Media! When: Every Tuesday, 18:45 for a 19:00 start.